Welcome to A-Plan, High Wycombe - High Value Cars, your nearest branch. Knights Templar House, 38-42 Frogmoor, High Wycombe, HP13 5DH mile away. 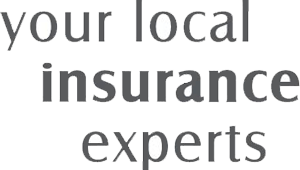 As your local insurance broker, A-Plan High Wycombe - High Value Cars has been serving clients in your area since 1994. We have specialist facilities for high value cars. The branch was opened in Beaconsfield in May 1994, moving to a larger office in High Wycombe in Oct 2007 and we have helped Ferrari, Maserati, Aston Martin, Porsche, Bentley, Lamborghini and McLaren for up to 13 years. Chris Pooler, the Branch Manager has been with A-Plan for over 20 years and there is over 100 years of dedicated service from our fully qualified team of specialists. We are one of the leading High Net Worth insurance intermediaries in the UK catering predominately for home and motor insurance, utilising the top UK insurers. It can be frustrating trying to find an insurance policy which can cater for vehicles in excess of £50,000 and homes with larger values, more extensive contents and higher levels of jewellery and personal belongings. We offer solutions were others are unable to, providing many unusual benefits such as agreed value of cars, guaranteed hire car provision in the event of a claim and open driving to name a few. For home insurance your belongings can be covered worldwide without onerous warranties and with cash replacement provided on all contents. No upper limits apply to value of jewellery and fine art within the home. Your High Wycombe - High Value Cars Branch Manager. Get the right cover at a great price! Put our local team to the test to see how we can help you.